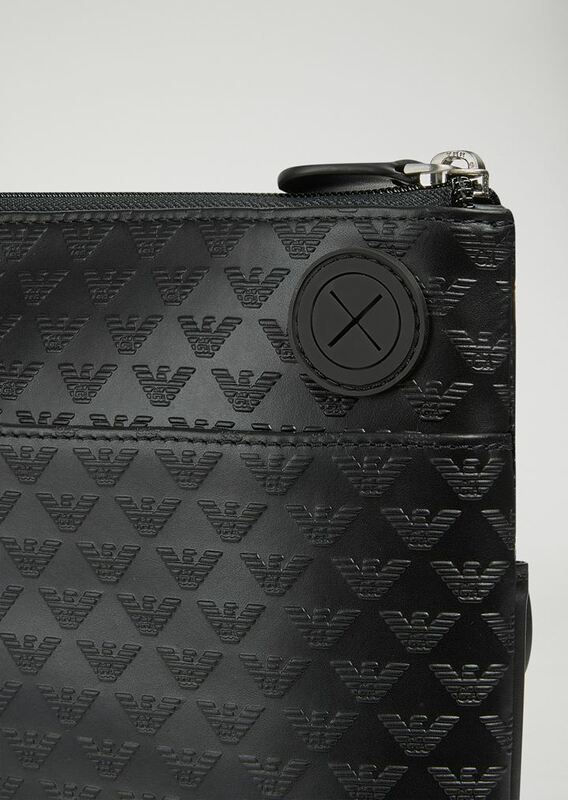 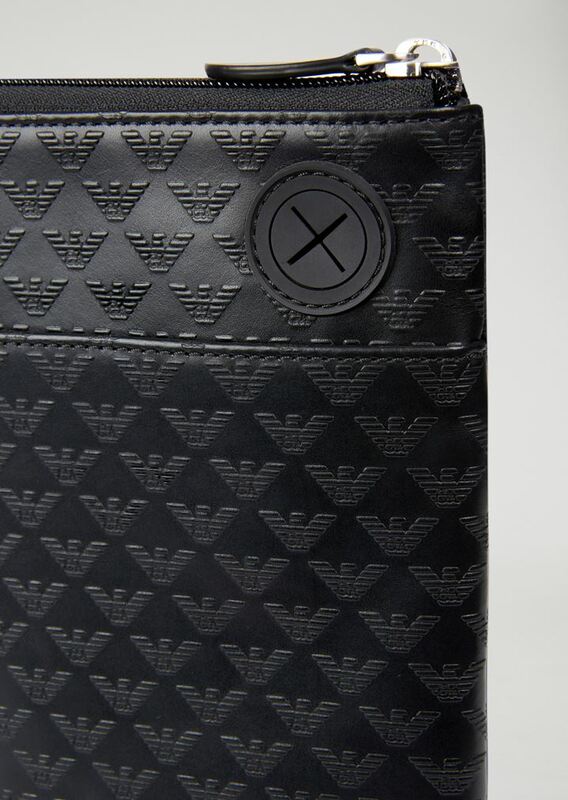 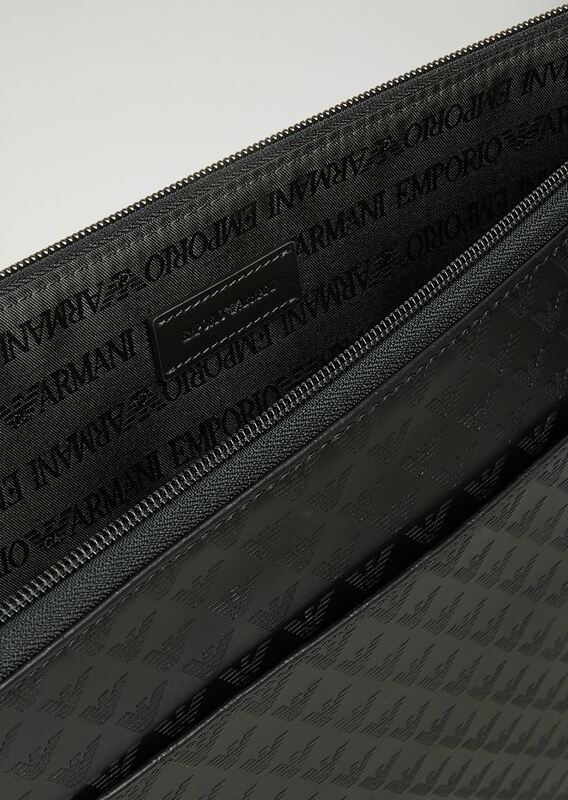 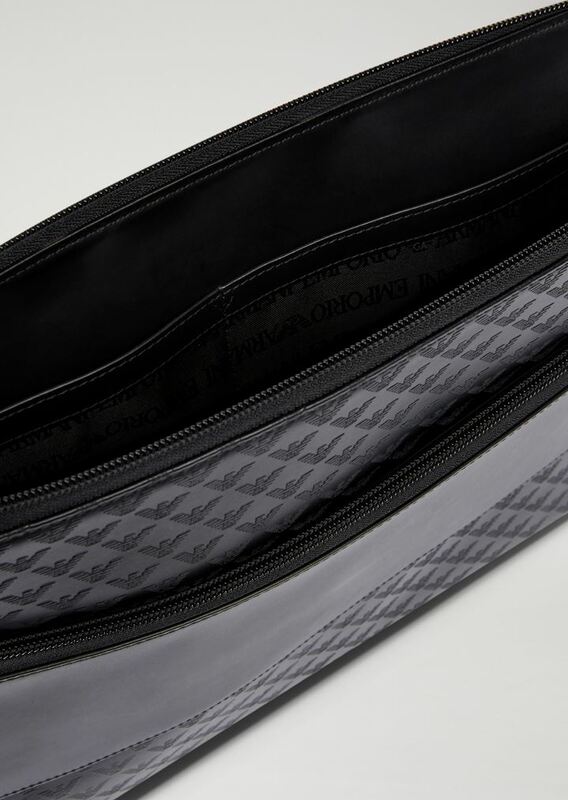 The all-over Emporio Armani logo print adds to the design of this accessory. 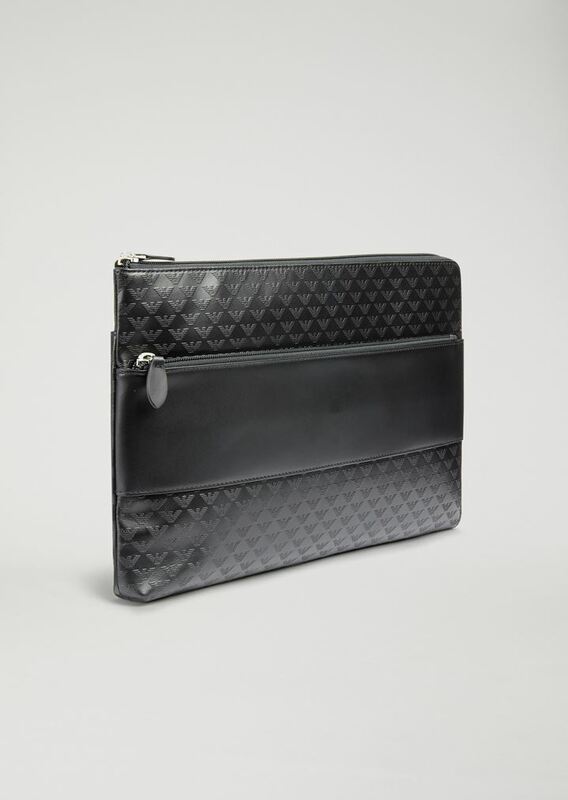 Document holder in bovine leather featuring an outer zipped pocket and practical inside pocket perfect for carrying your everyday essentials. 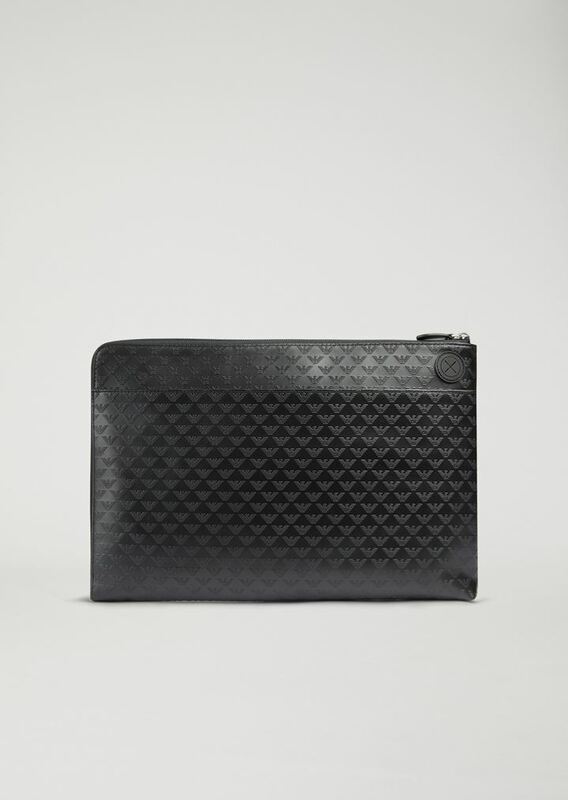 Dimensions: 31 x 22 x 1 cm / 12.5 x 14.1 x 6.6 in.